Alcohol inks are making a comeback in a BIG way these days and I wanted to try using them as I see alcohol ink artists use them on big canvases on instagram! 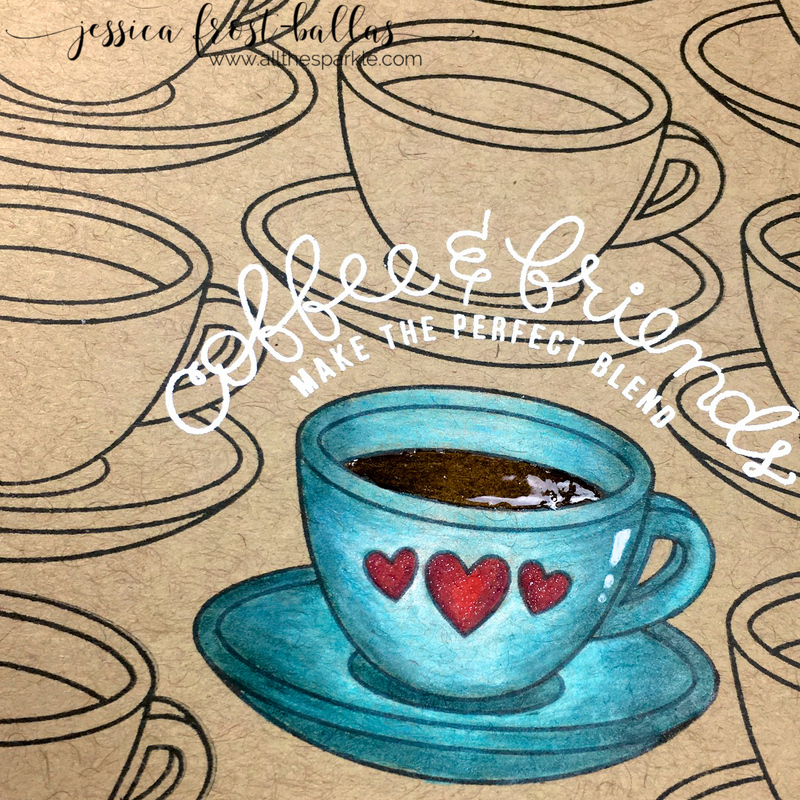 I’m not a fan of using the felt blending pads…they never really seem to give me the effect I want and all the colors blend together too much for my liking. I follow several alcohol ink artists on instagram and I love the way they put droplets on a canvas, blow them around, and then add more colors. It seems like a very free-flowing organic process and I figured there’s no reason I can’t do something similar for a card, right? So basically I used that concept but on a much smaller surface, a 9×12 piece of yupo paper. I used alcohol inks in indigo, denim, turquoise, amethyst, pool, and sailboat blue. Off camera I used those colors with pitch black alcohol ink on one piece of paper and then on camera I used those colors with silver mixative for a brighter, sparkly look. After the inks dried I splattered the yupo paper with copic opaque white paint to create the look of snow across a wintery night sky. I let that dry as well and then cut up the 9×12 paper to create a variety of cards! For the first two cards I simply cut 4″ by 5.25″ inch panels of the alcohol ink background and adhered them to a white card base. Then I die-cut the Bliss, Joy, and Felicity snowflakes using the new glitter paper from Simon Says Stamp and adhered them to the panels. Finally I die-cut the sentiments from older SSS releases and adhered them over the snowflakes. 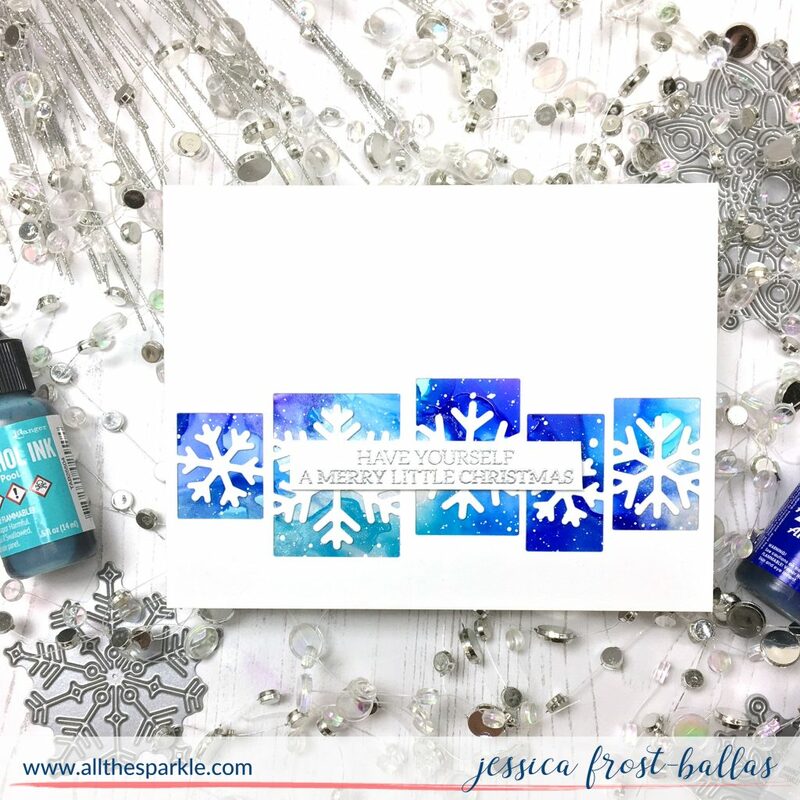 I used two layers of white cardstock on the lighter card and a layer of blue glitter over a layer of white cardstock on the darker card. 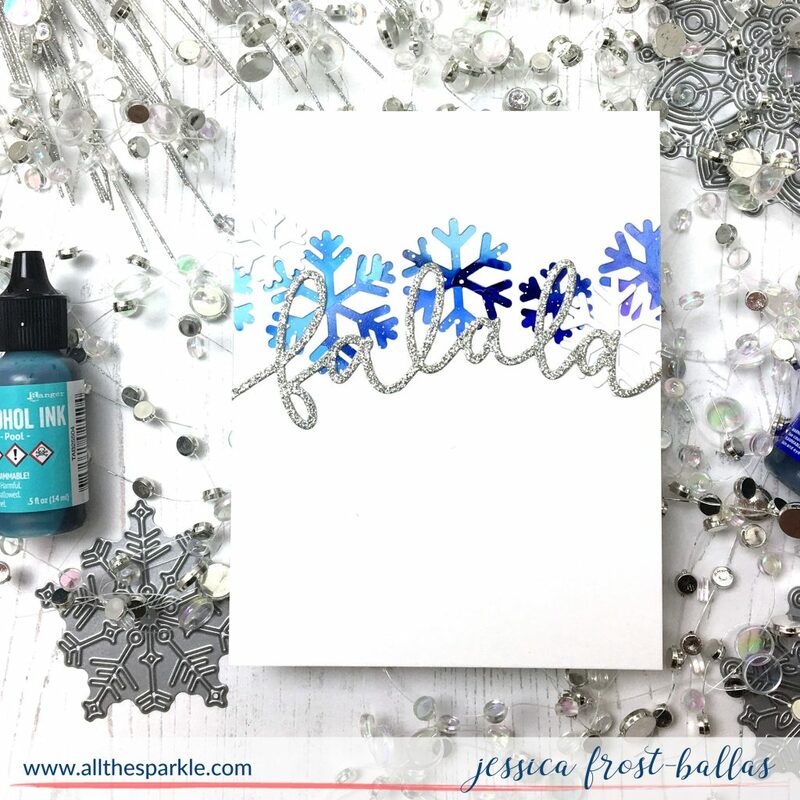 For this card I die-cut the Sensational Snowflakes from white cardstock and reserved the snowflakes. Then I adhered the alcohol inked background behind the white cardstock and adhered two white snowflakes on top. Finally I added a die-cut sentiment using the silver glitter paper! My next card uses the pretty Picture Book Tree die! Again I die-cut it from a white card panel, adhered the alcohol inked background behind it and finished it with a glittery sentiment! 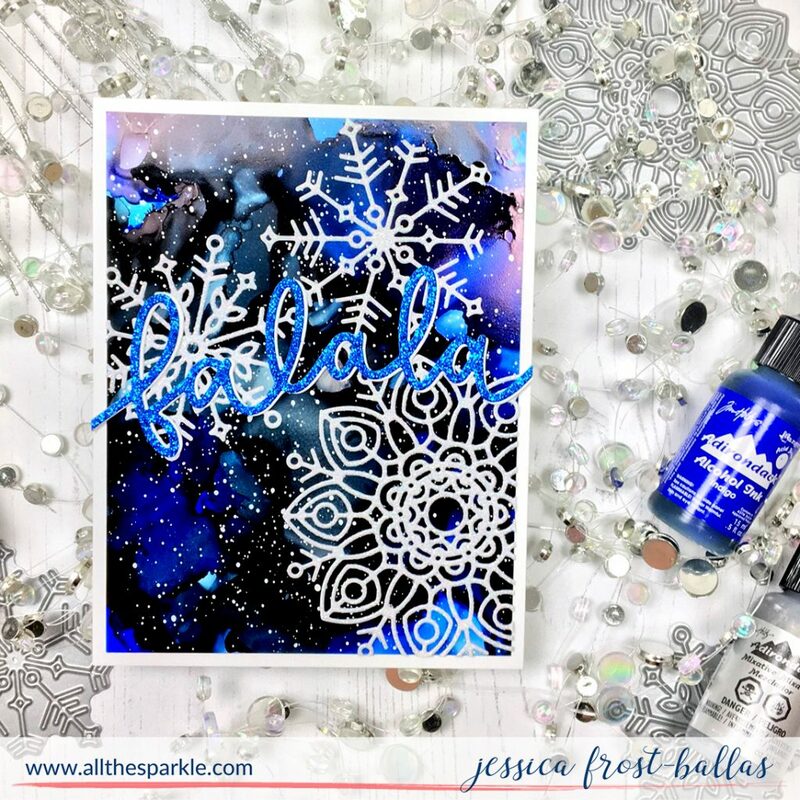 This card uses the same Sensational Snowflakes Collage die I used on my card yesterday but this time it’s backed by the alcohol inked panel. I stamped the sentiment from Christmas Essentials with versamark, heat-embossed it with silver embossing powder, and then popped it up with foam mounting tape. The rest of my cards follow a similar layout just using different sections of the alcohol inked background. I love how unique all the cards look even though they’re using the same panel! I hope these cards give you some ideas for how to incorporate alcohol inked backgrounds into your card designs. 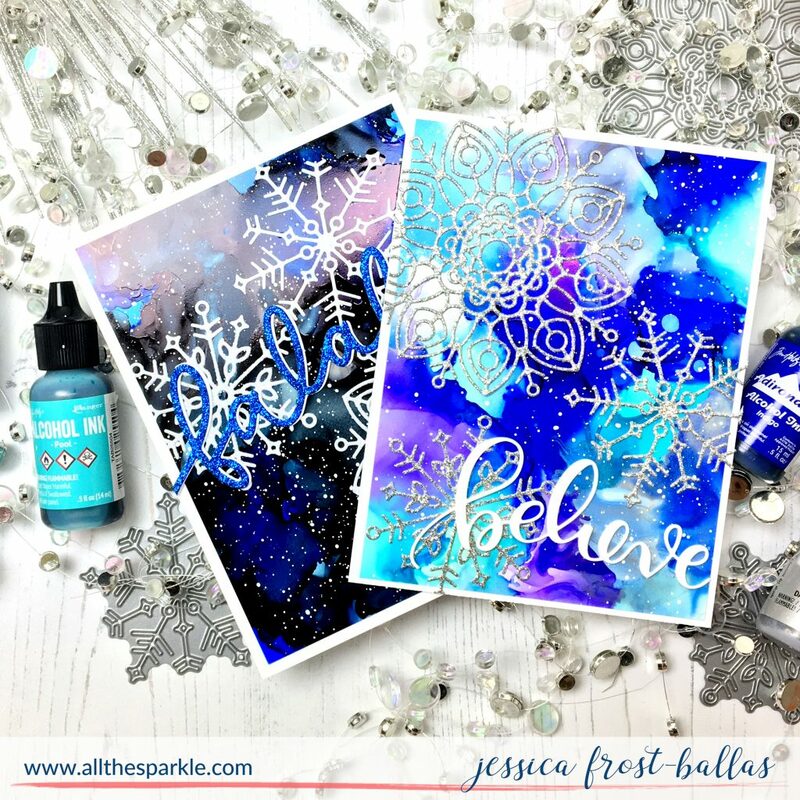 And if you don’t have alcohol inks…you could easily create a similar look with a watercolored background, color burst sprinkled background, or a distress ink blended background…or even by using patterned paper or glitter paper! 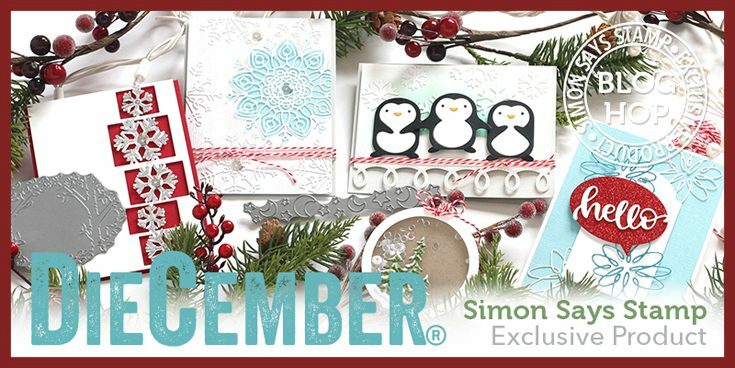 I used only a small portion of the amazing dies that Simon Says Stamp just released for Diecember so make sure to head over and check out the full release! What’s your favorite one? Good luck! If this is your first time visiting my blog I hope you’ll come back again! 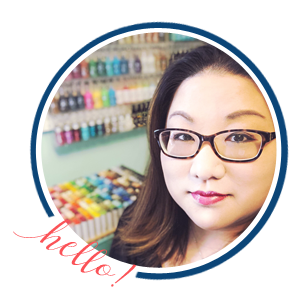 You can subscribe to my blog via the sidebar on the right or find me on Instagram and Youtube. Thanks for visiting and have a fabulous day! Happy Hopping! 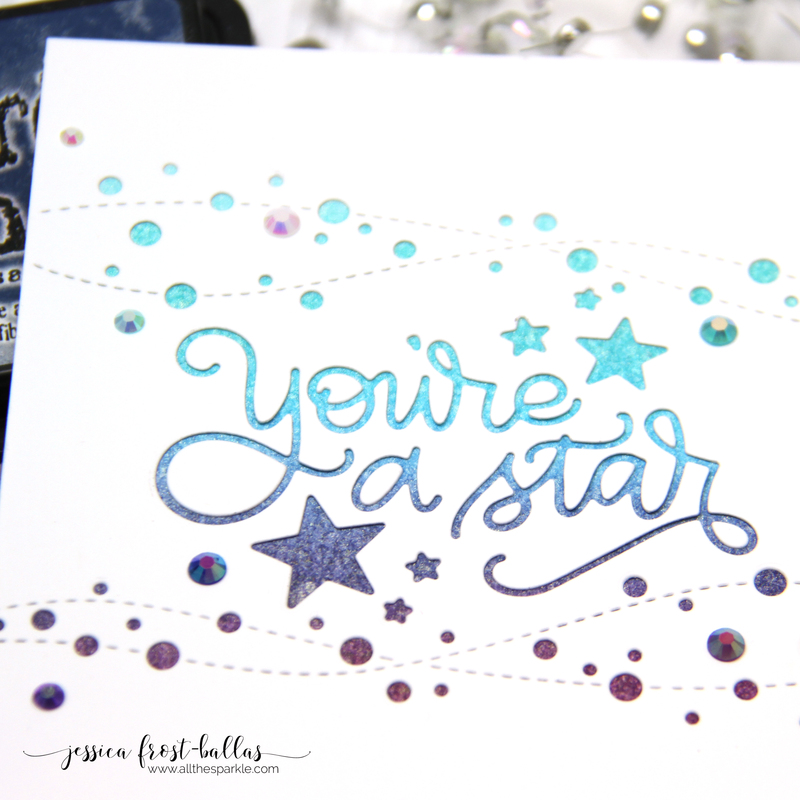 CZ Designs + Simon Says Stamp! 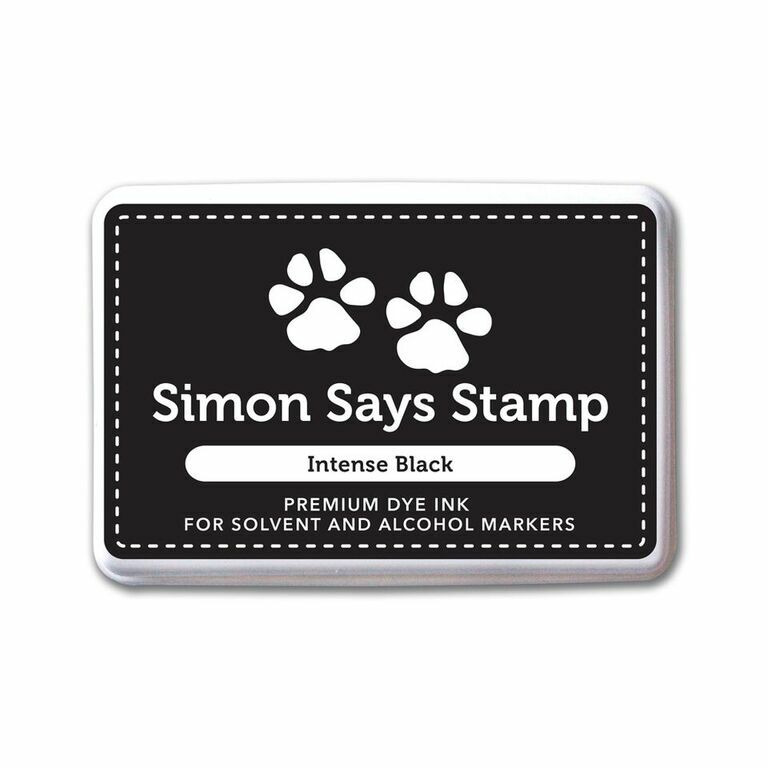 Simon Says Stamp Encouraging Words Release! Gorgeous, Jess! Loving the use of alcohol inks! Love that blue and white combination! I love love love what you did with alcohol inks. Your inspiration has made me want to dive into them thank you. I love that background. your cards are gorgeous. 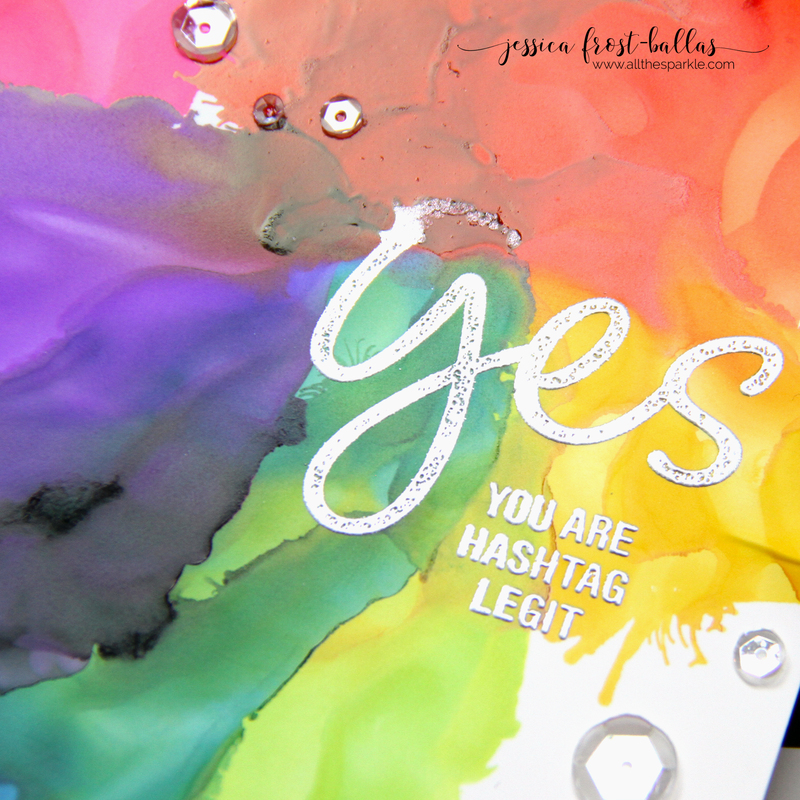 Love how you used the new dies to make a lot of white space on the card, allowing the vibrant alcohol ink backgrounds to really shine. Jess, your backgrounds are magical! 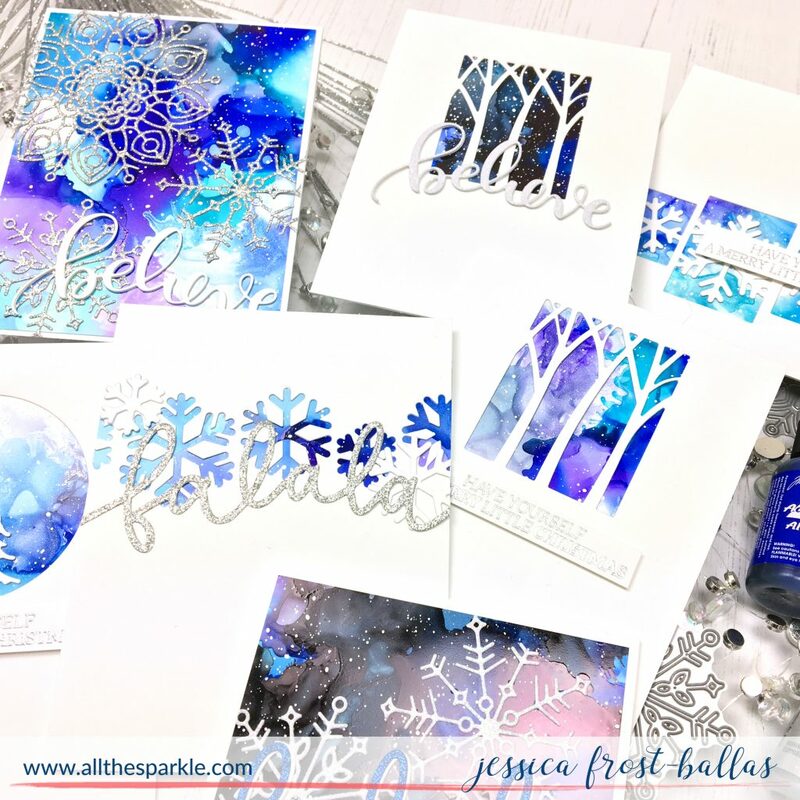 Love how you used small pieces to back those gorgeous die cuts & got so much use out of just 2 inked pieces! No waste here!! My wish list is super full now. Hope I get a lot of craft cash for Christmas! I love the night sky as a background. Really draws out the intricate elements of the snow themed dies. Beautiful! I enjoyed watching your technique in creating this card. These are beautiful creative colors. Hi Jess! Love your cards. So different. I love the one where you die cut out the snowflakes from the alcohol inked paper. So great! Thanks for sharing! So mesmerizing! Now I just have to find my alcohol inks! Beautiful backgrounds! Love the alcohol inks technique! Diecember is so much fun and I’m still working my way through the Kindness Video Online Classes so it’s double the fun. That you for the inspiration these dies and alcohol inks! 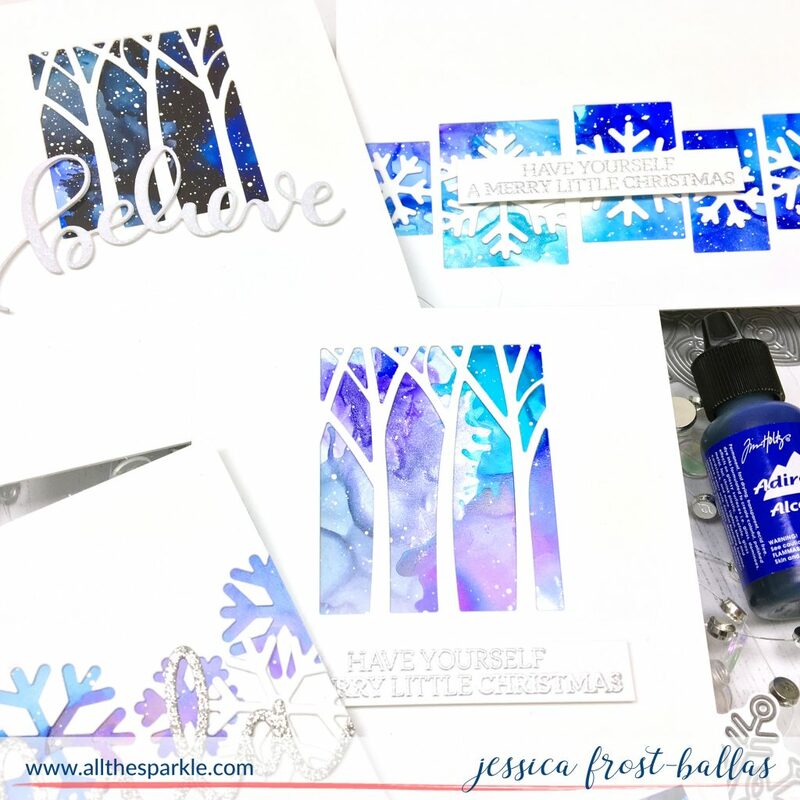 The alcohol ink backbrounds were fantastic with your choice of dies. Love the look. Lovely! I need to use my alcohol inks more! Love your background!! It is gorgeous!! Perfect with the tress and snowflake dies! Lovely cards with beautiful backgrounds! Thanks! Attention grabbing – they steal the show – look at me, cards! Thanks for the video and this wonderful assortment of gorgeous cards! 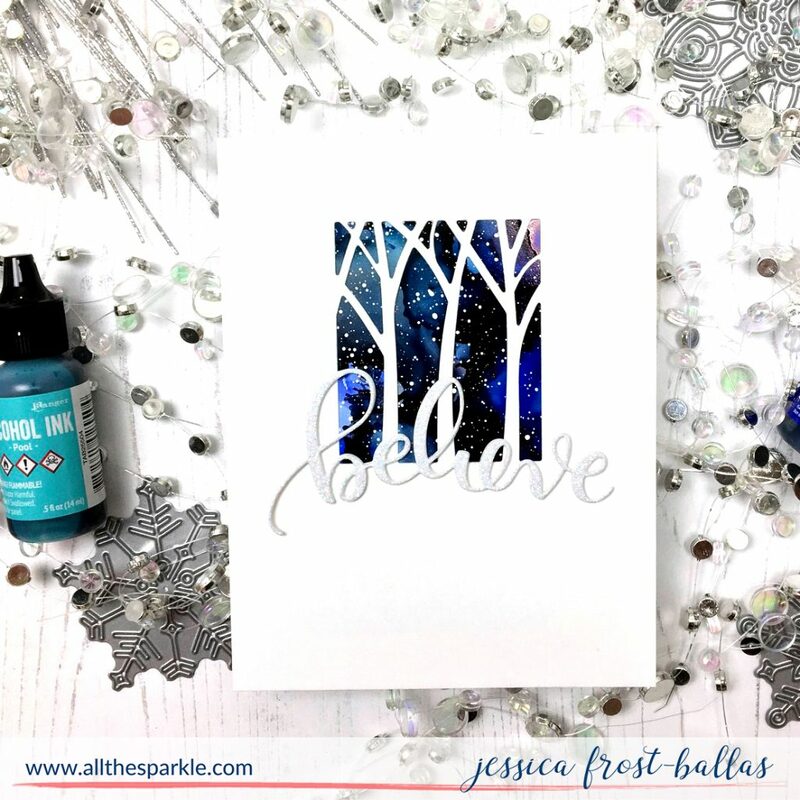 Love the alcohol ink background, Jessica! It brings so much magic to the new dies and in a very easy way, too. Thanks for the video. wow! the extra dark pieces are perfect the way you used them! Those backgrounds are breathtaking. Rich and vibrant colors just make you take notice! I love how you created a similar background for all your cards and just put the die cut snowflakes and scene in front. I think it’s a great way to mass produce in a quick and efficient way!